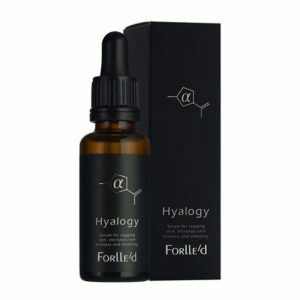 Anti-ageing serum for intense hydration and moisturisation. A strong multi-functional anti-ageing serum provides pronounced moisturising and bio-stimulating effects. Patented low-molecular weight ionized hyaluronic acid lies at the heart of this serum. It penetrates through the basal membrane and generates moisture reserves in the deep layers of the skin stimulating collagen and elastin synthesis. This serum regenerates the dermal matrix and normalises the pH level of the skin; thereby, improving the skin quality and increasing the natural defence and immunity of the skin. Regular application of this serum significantly increases the skin resilience and elasticity as well as results in a visible reduction in the depth of wrinkles. The product is suitable for all the skin types and fitzpatrick at any age.